Inky Fairy Designs: Happy Helmar Holiday Hop! Hello everyone and welcome to my stop on the Helmar Holiday Hop. If you have been following along, you should have hopped here from True’s Terrific blog. If not, you just have to stop at the Helmar Blog and start from the beginning. There are goodies along the way and we don’t want you to miss a thing. 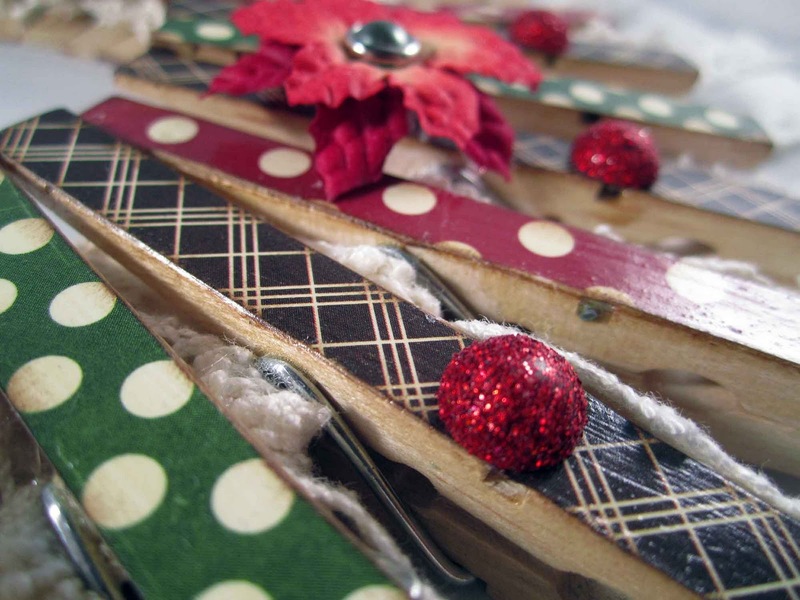 I have seen these adorable clothes pin wreaths on pinterest and thought, hey, those look cool and I bet I can make one! LOL And then, I went, ummmmm.....how did they DO that?! So, I enlisted the help of my hubby and came up with a game plan to use a wire shaped into a circle. 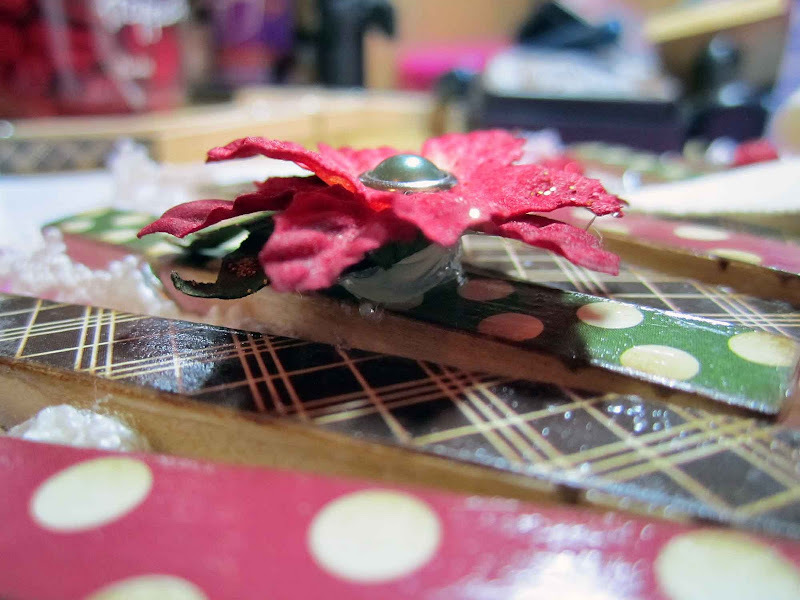 To do this, I used Helmar Craft and Hobby PVA Glue. 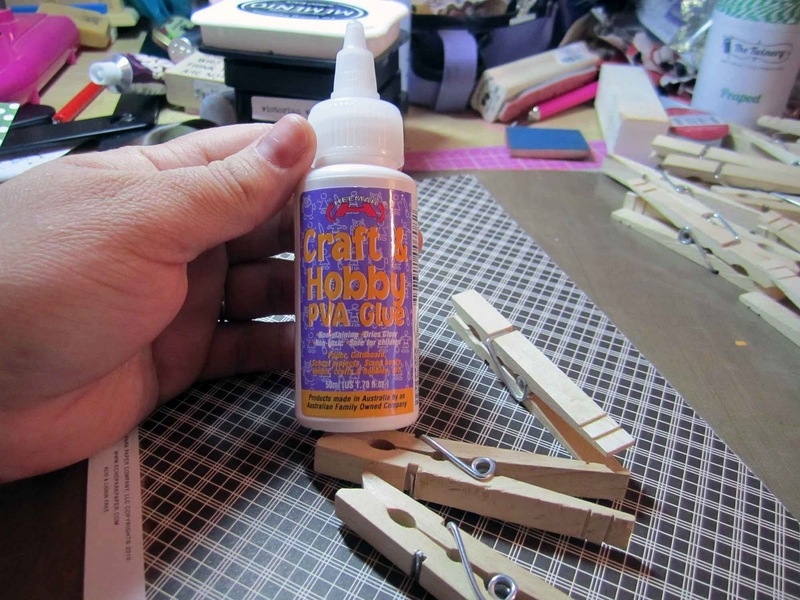 I love this glue and I wanted to use it b/c you can find it easily at any Hobby Lobby store in the ART section. Emphasis on art, not the scrapbooking, stamping section - if you look there you won't find it so make sure you are in the paints, canvases aisles. 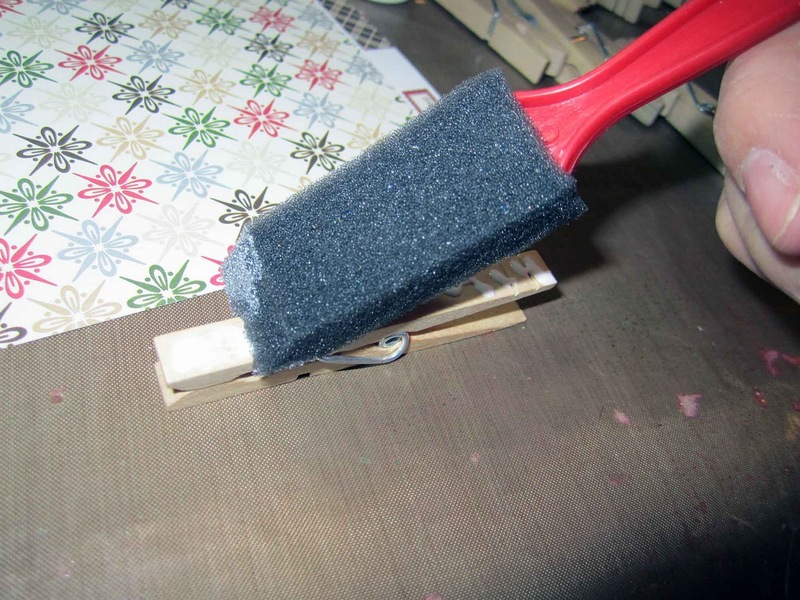 I like to paint my glue on - it gives a nice even coverage when I'm adhering paper. I did several at one time before cutting them out to save time. 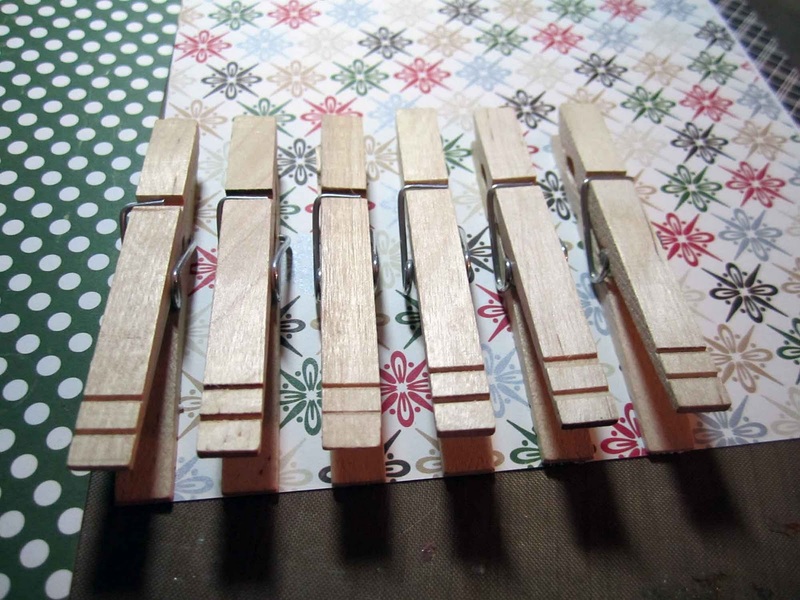 I liked my little rows of clothes pins! Ok, so after they were all covered, I knew I wanted to make this withstand years of use so I sealed with with Helmar's Acrylic Sealer. This stuff is awesome and even though the bottle says 20 mins dry time, I don't think it took longer than 5 mins to be honest. 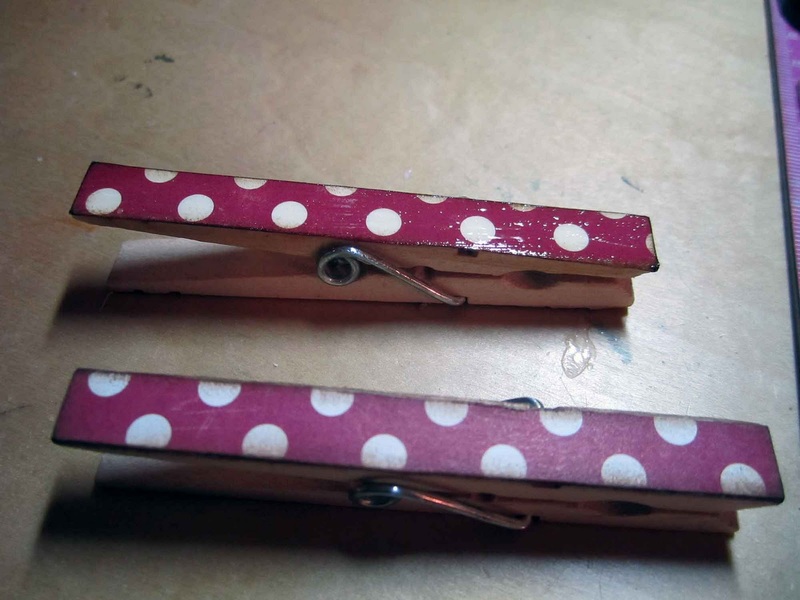 The top clothes pin in the picture is covered with the sealer and the bottom one is not. Next came the hardest part. What to do to make them stay in place and not circle around the wire as soon as you pick it up. It looked so pretty already with the paper and the lace, but I needed to add a way to hang it and added a pretty bow I made using some twill tape ribbon from my stash with the knot wrapped with twinery twine. It was the perfect touch as I really wanted to go for a rustic home spun feel with the browns, reds and greens. I added the glitter covered gems and using Helmar Liquid Scrap Dots added the flowers for a bit of dimension as the finishing touches. I hope you like it and have been inspired. Now I just need some pretty Christmas cards to hang on it! Make sure you leave a comment at every stop because the elves of Helmar will be giving away prizes to some lucky Helmar fans. 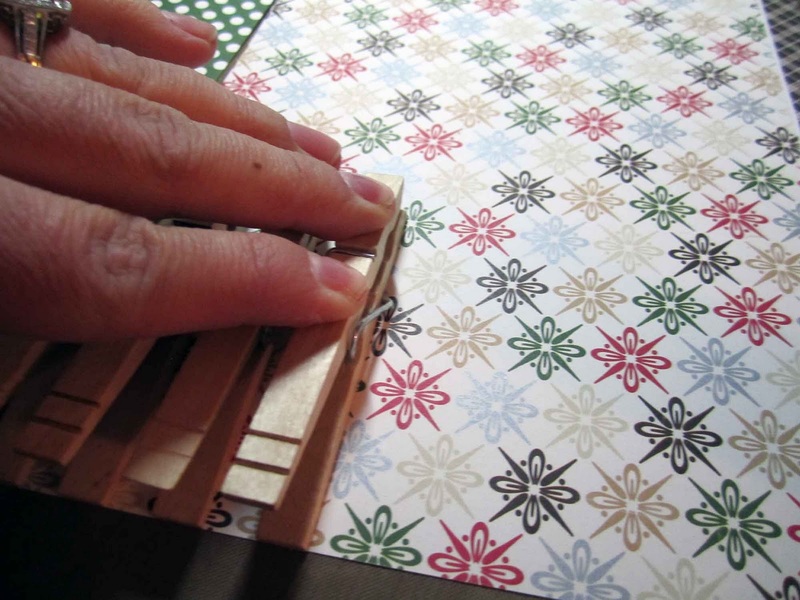 Now hop on over to Lydell’s Lovely blog to see another amazing Helmar Holiday project. The Holiday Hop will be open for comments until 11:59P.S.T December 4th , so take a look and enjoy a little holiday spirit from all of us on the Helmar Team. Thanks again for stopping by today and Happy Holidays. wow girl this is AMAZING! 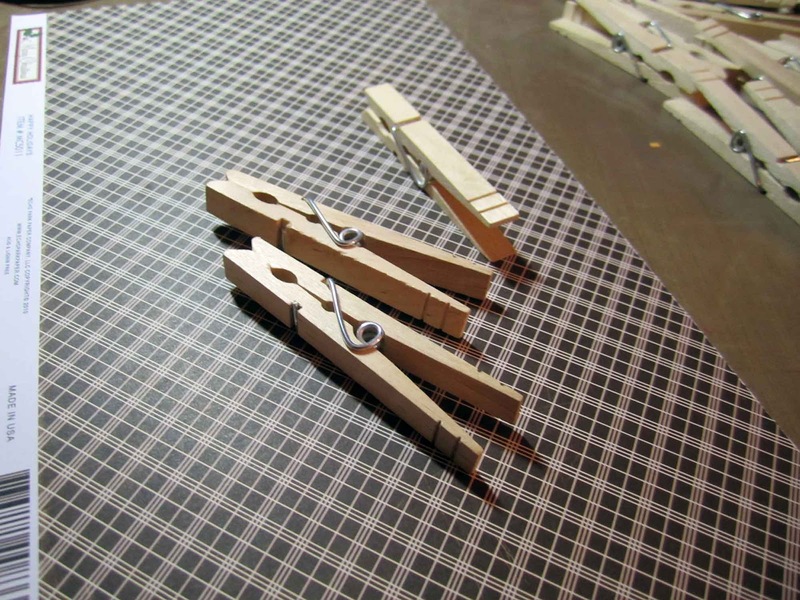 What a fun idea... mmm... looking for that bag of pegs I had! lol! Gorgeous work! Love your vintage looking pegs! Wow so beautiful. I am very quickly becoming a fan of your creations! What a cute card holder! Carisa your wreath is so fun! I like you can't help but hoard my beautiful paper. Sometimes I wonder how I ever get anything made because of it! Very cute, would be so welcoming at the front door! Such a great idea Carisa! Love it! What a pretty wreath Carisa! Looks like it was fun to make too! What a clever holiday wreath! Thanks for the inspiration! Super cute idea, love it!! Well, I'm glad I'm going all through the hop before placing my Helmar order, as now I must add acetate sealer to the list. LOVELY wreath!!! How cool is this. Such a fun project. What a cute project!! Love how you did this. Thanks for the inspiration! 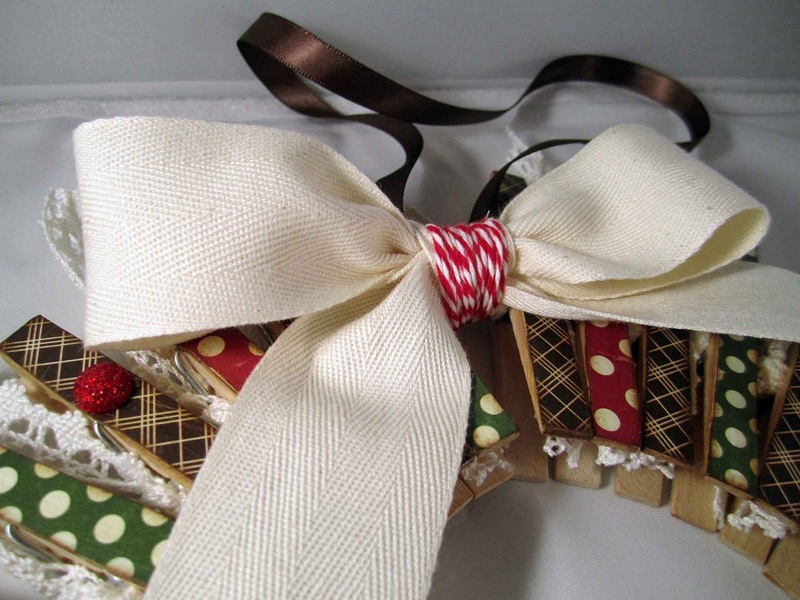 I love your project-this is such a fun idea to use great ribbons and papers you love. Love your wreath! Totally great idea and it looks wonderful! This is awesome Carisa! I love the colors papers you chose and the time it took to create this was worth it. Beautiful project! Great project! Thanks for sharing your thought process too. :-D I think your 6 yr old camera lady did a great job too! WOW!!! This is a fantastic wreath!! I love it and will need to make one ASAP!! Simply Stunning Carisa. I love this wreath. I was looking for that perfect idea for this holiday season to share with my crafty friends for a night of fun and creativity. THIS IS IT. Your project is SO LOVELY! 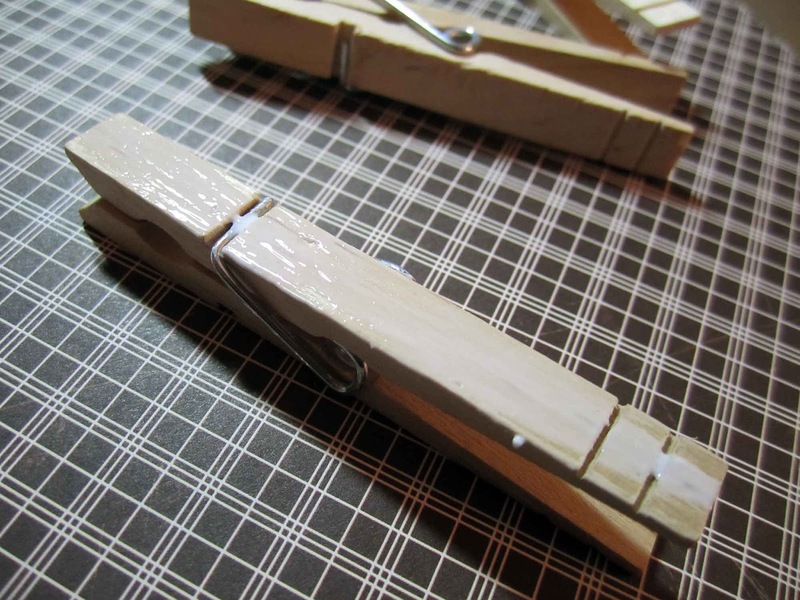 And Helmar glue is the bomb when it comes to making creativity FUN and easy! Thanks so much for sharing with us! Love the wreath so striking~guess I will be making another wreath:):):) beautiful!!! 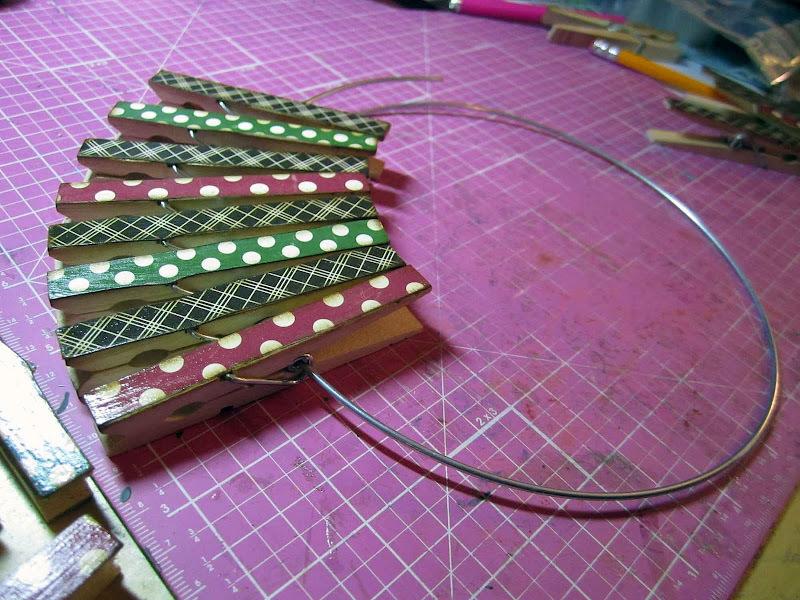 who knew you could do something so beautiful with clothespins! That looks great! I love the homey touch from the lace! Carisa, this is totally amazing! What a great idea! WOW! I love this idea to display cards! It's creative, festive & fun! Great idea...will have to find some patience though! Pretty awesome and beautiful too. Hi Carisa. This is gorgeous. I love the idea. Off to find some pegs :) Thank you for the step by step. 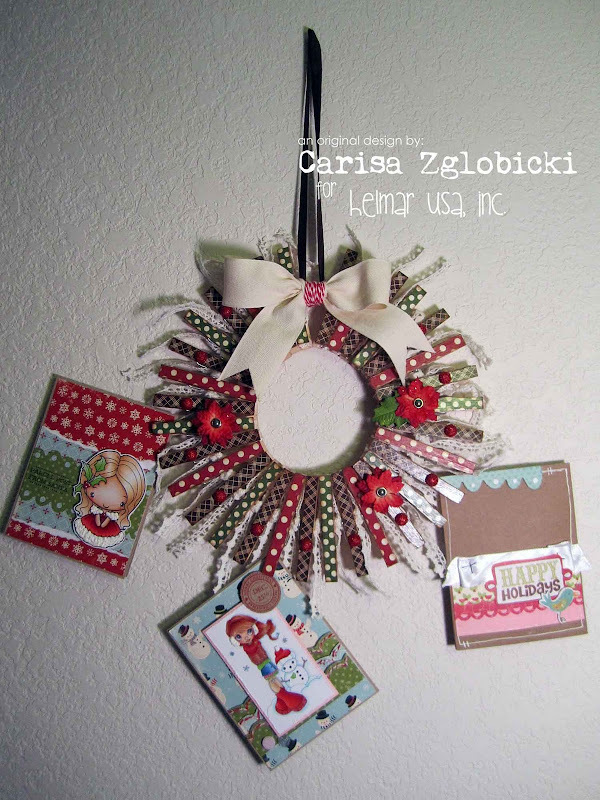 Gorgeous project Carisa, thanks for the inspiration. Awesome awesome. I can't wait to try this project too. I love it. So much inspiration on this blog hop. So cool!!!!! Love your wreath!! I love, love, love this project!! You did an amazing job on it. Fabulous! This looks so lovely and contemporary. 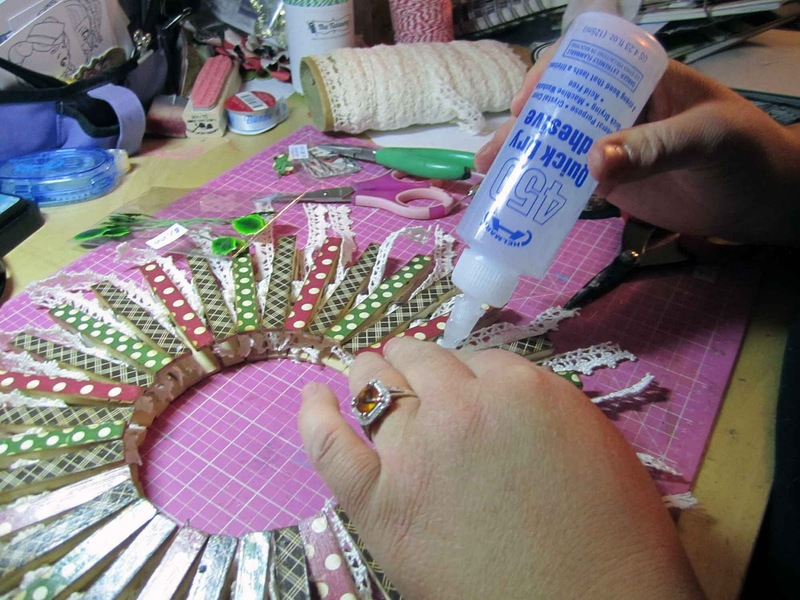 Thanks for sharing your amazing clothespin wreath Carisa. I had never seen one before and was really interested in the process. It looks so beautiful! I was really surprised when you mentioned that you could pin your Christmas cards to it. Hopefully, I'll make one of these in the future -- looks like fun! OMG this is awesome !! Great project! Love how you batch processed the pins instead of cutting out itty bits of paper to stick to them. Great idea! 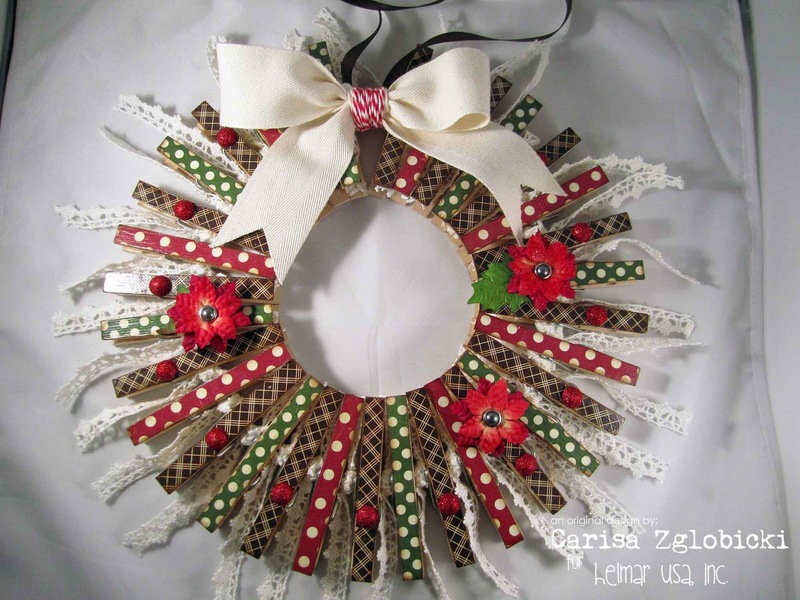 Awesome wreath and I have a ton of old clothespins I can iuse. Thanks for sharing!! I just love this idea and you've done a terrific job. This post is now bookmarked for future reference! This is fabulous! I need to make one! Very clever! Thanks so much for sharing. Love your project. I really need to make something to corral all the Christmas cards, as I wind up with them sitting all around the house. The front door opens and a breeze sends them airplaneing around the rooms!! Thanks to you and your camera kid, I mean woman, for the great tut. that was a lot of work, but it turned out so pretty, fantastic job! yea... this is pretty amazing!!!! What a cool idea - thanks for sharing! An awesome project...love it! There were even products I didn't know about and will be looking for the sealer. Great job! 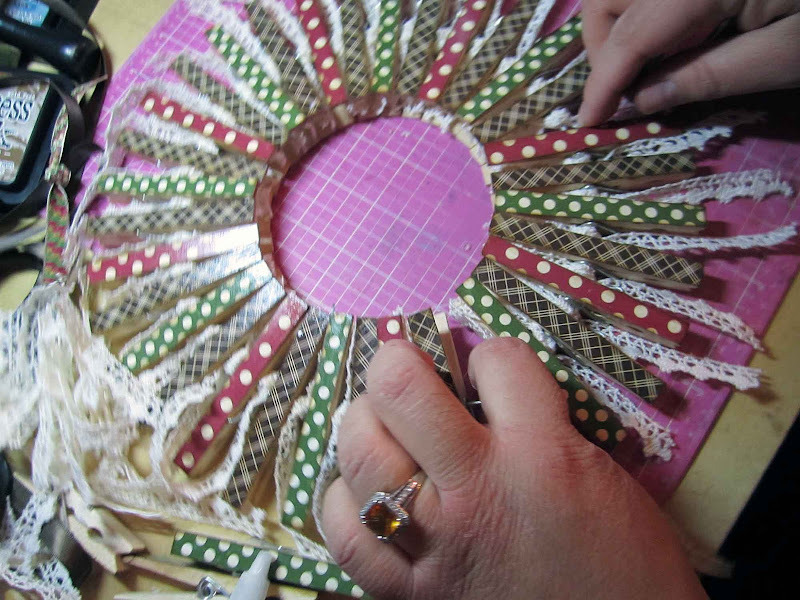 that is a really lovely project, carisa! !